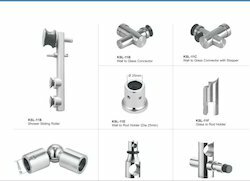 With the constant support of our expert team, we are engaged in offering a wide range of Wall to Rod Holder. These holders are exactly manufactured according to the industry standards using quality approved material at our vendors' end. Further, these products are rigorously checked on various quality parameters to ensure their high quality and optimum usage. Furthermore, the offered products are available at cost-effective price to the clients. 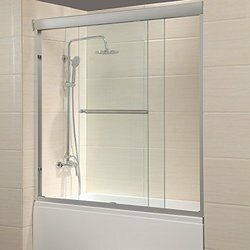 We are offering Glass Shower Sliding Fitting with an utmost quality criteria and performance. Designed with extreme accuracy, this glass shower hinge is designed from finest quality material.